Gen 5 Glocks: What’s New With Our Favorite Gun? 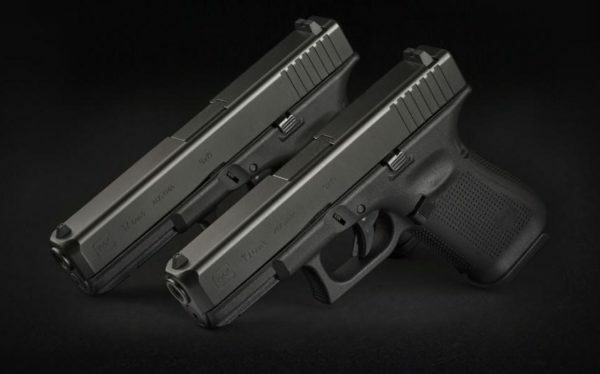 Christmas has come early this year and we’re all excited as everyone’s favorite Austrian handgun manufacturer released their highly anticipated fifth generation of Glock 17 and Glock 19 models ($630), two of Glock’s popular 9mm models. And now that there are two new Glocks on the shelves, firearms enthusiasts everywhere are scrambling to see what exactly the fuss is about. So, do the Gen5 Glocks live up to the hype? Before we answer that question, let’s take a quick glance at some upgrades that Glock has added to the new generation of G17s and G19s to set them apart from the rest. Upgraded barrel design for increased accuracy. Improved aesthetics for slide and barrel. Ambidextrous design for slide stop lever. The general consensus is that the Gen5 Glocks are damn sweet, but you already knew that. They’re Glocks after all! Now that we’ve got the pleasantries out of the way, let’s dig deeper into what makes the Gen5s so special. Glock put a lot of time and research into making their fifth generation a step above the rest, so it’s only natural to assume that they want your gun looking razor sharp at all times as well. In the past, were you a little too cautious with your Glock so that you don’t cause any cosmetic damage to the slide? Well, with the new line of Glocks, being overly protective is a thing of the past thanks to a new nDLC finish that’s added to the barrel and slide of every new G17 and G19 model. The new finish looks great and keeps your slide and barrel protected. 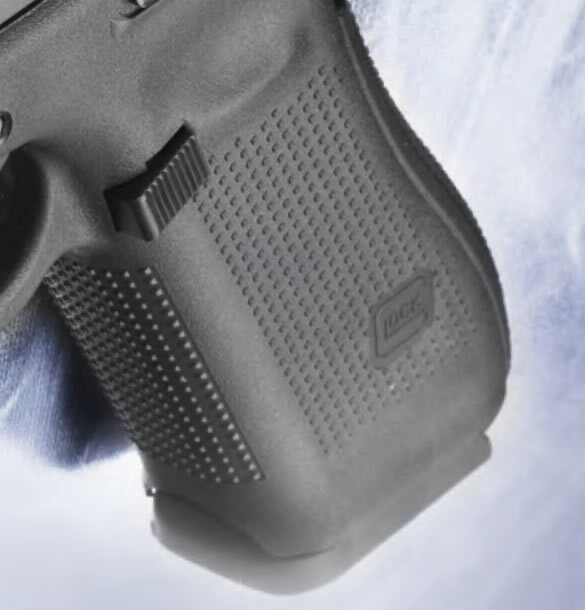 This advanced coating, which Glock describes as an ion-bonded finish, helps prevent scratching and corrosion more effectively than previous finishes. Glock also claims that it helps to improve the gun’s function in “adverse conditions,” which could be anything from a little bit of moisture to a gun completely caked with mud considering Glock’s already flawless reputation when it comes to durability. And in addition adding a level of durability to Gen5 Glocks, the nDLC finish also gives the slide a slightly darker color than previous generations. One of the more major upgrades to grace the Gen5 is the improved barrel design known as the Glock Marksman Barrel. According to Glock, this new barrel system continues using the same HEX rifling that made other Glock models accurate, but there’s a slight difference. The GMB design has tighter tolerances when compared to other Glock models, which is believed to help increase the gun’s accuracy. It should also be noted that Gen5 barrels don’t appear to be interchangeable with any of their predecessors. And as of now, it doesn’t look like Glock has any plans on making threaded barrels for their new G17s and G19s. So all of you shooters who’re itching to mount a suppressor on your flashy Gen5 might have to wait until aftermarket manufacturers catch up. 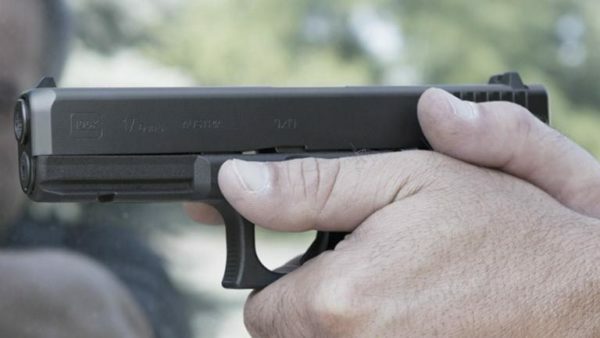 If you’re not sold yet, consider the following: Glock engineers claim that the new barrel system will allow shooters to shoot better than four-inch groupings from 50 yards away. Provided that you’re already a crack shot, of course. Let’s face it, there’s always going to be complaints about Glock’s grip. It’s probably the main thing that the company has struggled to master, even after grips have come a long way from the ugly, boxy designs of the older generations. With that said, I like how Glock removed finger grooves from Gen5 models. For people who had the perfect hand size to make use of the grips, this may be mildly infuriating, but for everyone else, grooveless Glocks tend to be much easier to hold. 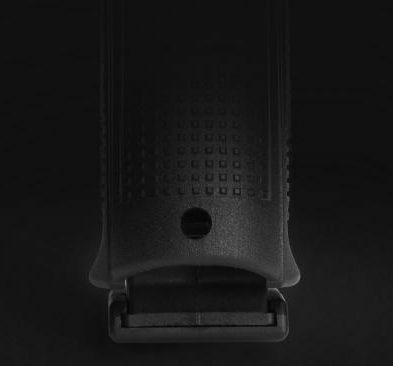 Also, I’m happy to say that Glock has kept the aggressive texture and interchangeable backstraps that were introduced with Gen4 models, so you don’t have to worry about stippling. Regardless of how you feel about finger grooves being removed from the equation, the Gen5 is still much more comfortable to hold than the oldschool Glock models. I’ve got great news for all of the southpaw shooters out there. One of the upgrades included in Gen5 Glocks is an ambidextrous slide lever that is accessible from both the right and left side of the gun. And while it may not seem like much, for left-handed gun owners, this does a great job making the G17 and G19 easier to handle. Just like their predecessor, Gen5 Glocks come with a reversible magazine release button that works from right and left-handed grips. But with the Gen5, Glock decided to up the ante and make reloading even easier by modifying the magazine well by giving it a slight bevel and flare. It doesn’t look like much, but the new magwell is amazing. The reason Glock decided to modify the magwell wasn’t for looks, it was to help make reloading as smooth as possible. While it’s not a major change, it might just be a blessing the next time someone needs to switch out a magazine in a high-stress situation where every second matters. 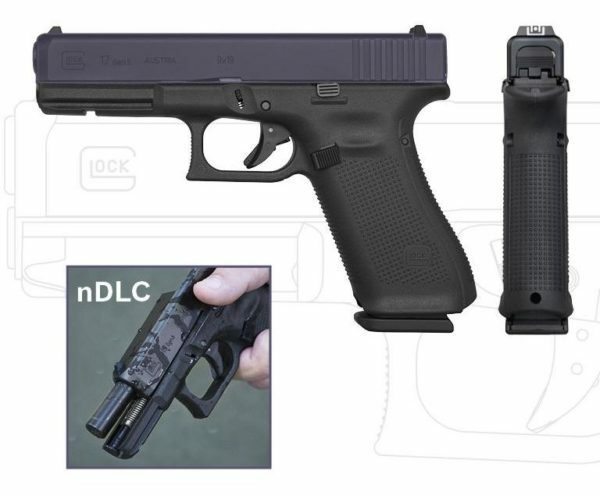 Along with those major changes we’ve covered, there are also a few tweaks here and there that Glock included to ensure that the Gen5 lives up to the Glock standard of excellence. 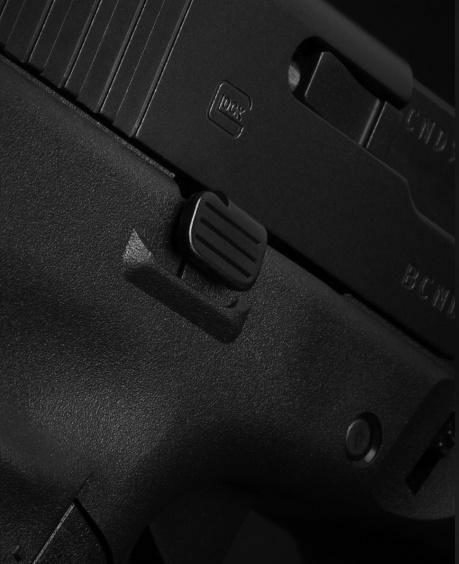 For starters, when choosing sights for their brand new Gen5 Glock, customers have the option between the brand’s traditional plastic sights or AmeriGlo night sights. In other good news, Glock has opted to keep the dual recoil spring system that was part of the Gen4’s major performance upgrade. They also scrapped their Locking Block Pin in favor of their two-pin system that was present in earlier generations. While there doesn’t seem to be any major performance changes associated with the modified pin system, it does reduce the number of working parts within the Glock, which means there are fewer parts that could malfunction. Another minor increase that boosts the convenience of Gen5 guns is the new magazines which are equipped with bright orange followers. If you’ve ever fumbled around trying to account for all the bullets in a mag while reloading, you’ll definitely appreciate this upgrade as it gives you a clear idea of how many rounds are left in your magazine. Combine that with the features that make magazine swapping easier, I’d say that this generation scores a win in the reloading department. And in case you’re wondering, Gen5 magazines are still compatible with all of the previous generations. In fact, your flashy new Gen5 should also be compatible with most Glock holsters as well, so you don’t have to worry about any inconveniences from switching over. You might even find that the Gen5 works better with your holster thanks to its slightly beveled slide edge on the muzzle. For Glock lovers, the idea of being able to take an already excellent gun and turn it into something better sounds unfathomable. For everyone else, Glocks are usually seen as great guns that have a few features that can be annoying or inconvenient. 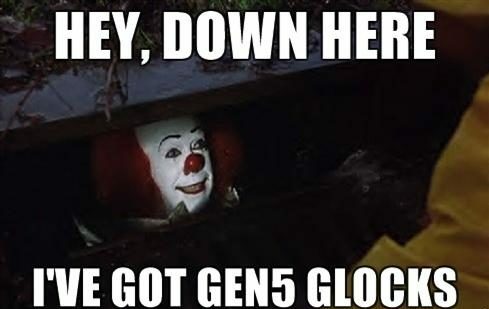 It’s these people who Glock primarily appealed to when coming up with the Gen5, which is why most of the changes you see with the new generation have to do with comfort and convenience. So, what’s the final word on the Gen5? It’s a mighty fine gun. Regardless of your handgun preferences and if you’re a Glock person or not, there’s going to be something about this gun that you like – be it the gun’s improved design or its ability to spit out a case of rounds without any issues. If you’ve already got your hands on a Gen5 Glock, be sure to tell us what you like or don’t like about it in the comments. I got my 34 g5 mos about 2 weeks ago. This is by far the best shooting 9mm I have ever owned! The controls are easily reached, it’s lite when carrying with a fully loaded magazine inserted and shoots accurately ! What’s not to like. I bought myself a Glock 34 Gen 5 MOS. something that’s bothering is some of the internals is changed compared to the Gen 4’s. I wished Glock had smoothed out the mag well cut out on the 19 to get rid of sharp corners. I wished Glock had tapered the frame to match the end of slide. Would be nice to have ideal Glock 19 only like Gen 5 with front serration and the changes I commented about. I”ve got about 500 rounds through my Gen 5 glock 19. I really like the ameriglo sights. I put them on my Glock 21 and 42. The gun has been flawless, its very comfortable and I even hit what I’m aiming at.. I have no complaints.